Celebration of the release of Vijay-starrer 'Kaththi' at a theatre near here turned tragic today after a 25-year-old man died when he fell down from the top of a huge cutout of the popular Tamil film actor while performing 'paal abhishekam' (offering of milk).Reportedly, a fan called Unni Krishnan (25) who was also a welder by profession climbed the cut-out poster of Vijay to consecrate the poster with milk in a way to show his admiration towards the star.However slightly imbalanced, he slipped and fell down from the height and died on the spot. 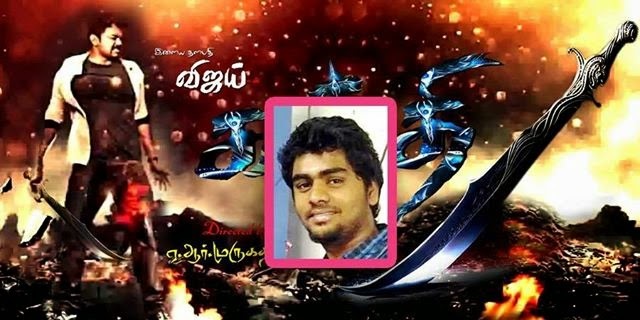 Reportedly, he was also an energetic member of Vijay fans’ association. The incident has taken place at Jayabharat theatre in Vadakecharin.